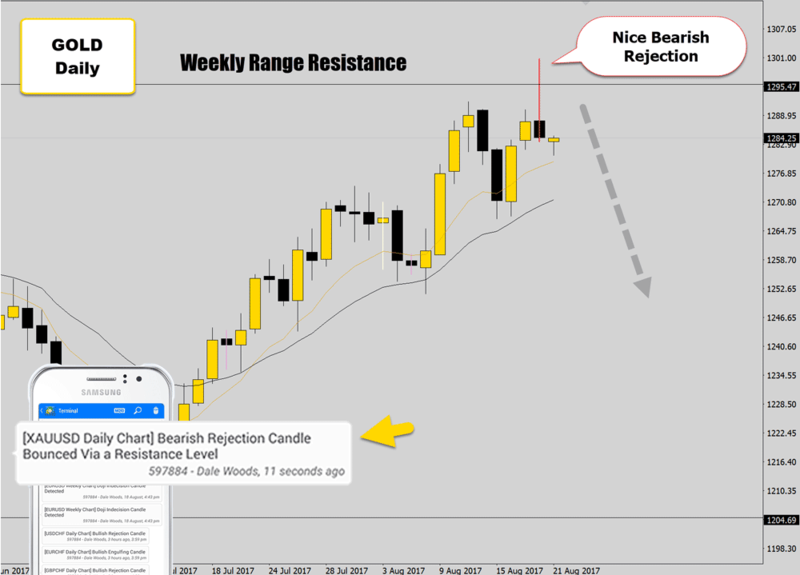 As price action traders, we are always looking for those favorable trading circumstances to present themselves among the candlesticks. 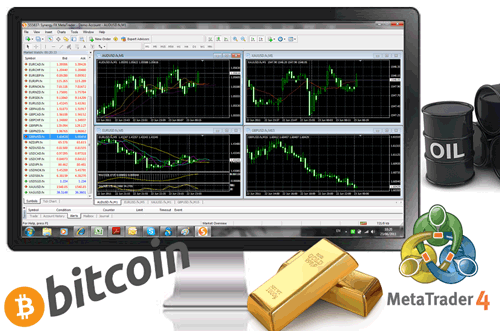 We are on the hunt for logical and lucrative trading opportunities. 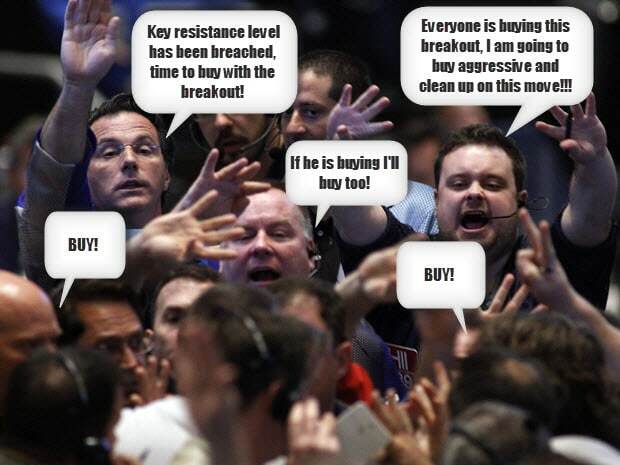 One of the common techniques used by a lot of price action traders, and one that we use frequently, is known as ‘breakout trading’. As the old saying goes “There is more than one way to skin a cat”. 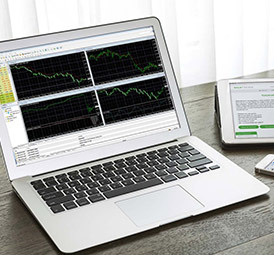 Just like all other trading strategies in Forex, there are many different break out trading techniques, styles and variations. 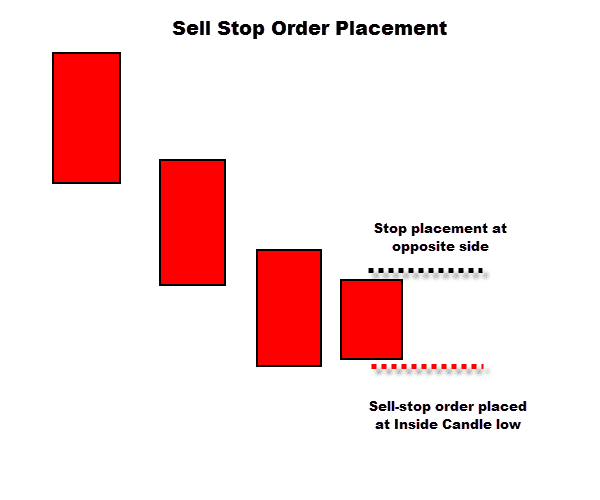 In this article, we are going to share one of the more effective breakout strategies, used by a lot of technical traders. 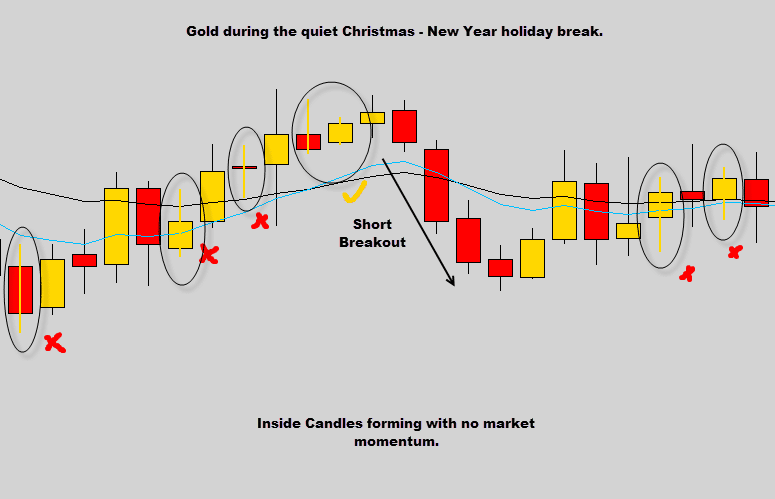 We frequently take advantage of Inside Day candlestick breakout patterns. We use Inside Days to identify consolidation flags to build the low-risk/high-reward framework for our breakout trades. 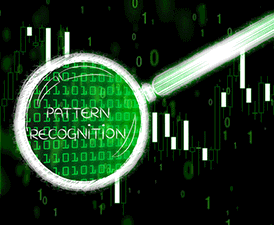 Breakout trading is a style of trade entry method deployed when market players anticipate aggressive price movements by identifying situations where price experiences a sudden surge in momentum, and breaches a key level on the charts. A key level could be a support or resistance line which has been acting as a containment barrier, such as in ranging conditions, or the breach of a trend line, channel, or even the collapse of dynamic mean value S/R. This is what we call a ’price action event’, which draws in the attention of traders across the globe. When other traders see the breakout, they will also most likely jump on board, fueling the momentum further. This activity makes the move more self-fulfilling, just like a Mexican wave roaring through a packed stadium. We don’t like to trade the raw breakouts of key levels of S/R, or trend lines. If you try trade through levels there is a chance you can be caught in a breakout trap. 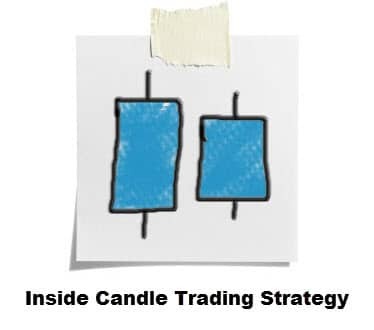 Instead, we use a candlestick formation usually called the ‘Inside Bar’ to form the structure of our breakout trade. The Inside Bar candlestick signal is a powerful catalyst for breakouts, which we use to catch these explosive movements in the markets. So what is the Inside Bar pattern? Well, the Inside Bar is a two-candle formation. The name says it all really, because the second candle’s entire range must be inside the previous candle’s range. As you can see in the picture above, the high and low of the second candle must completely fit within the range of the previous candle. This is a valid Inside Bar. 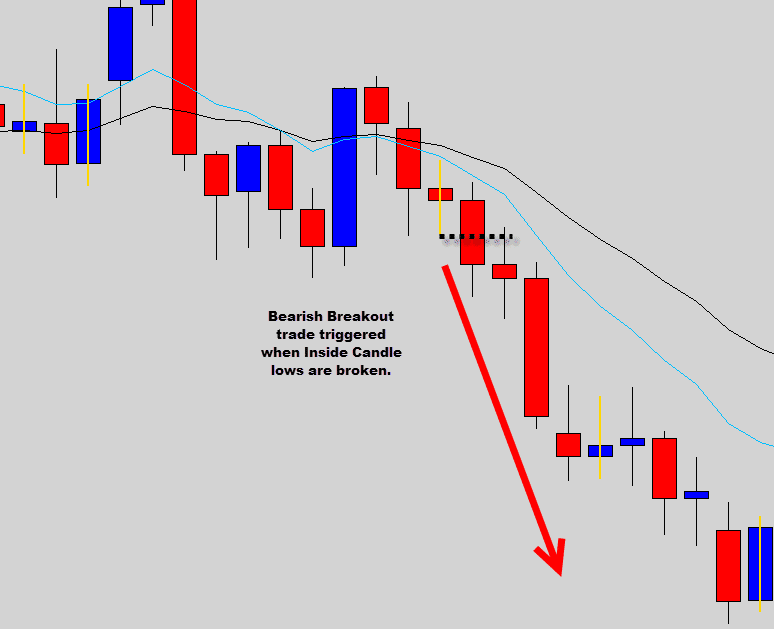 Many traders do get confused and misinterpret an invalid Inside Bar for a valid one, and this mistake could be costly. 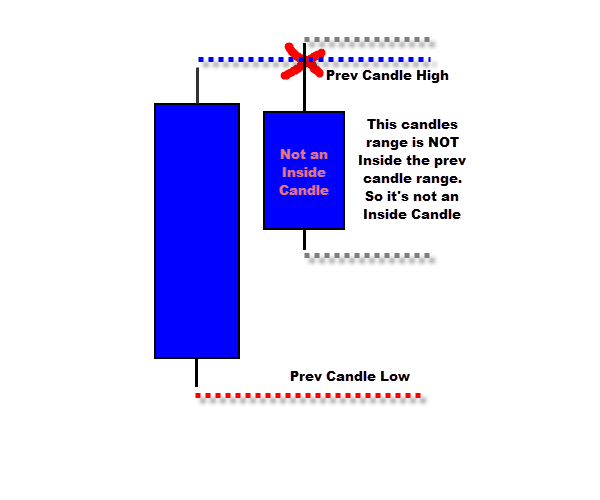 In the example above, the body of the second candle does fit within the range of the previous candle, however, the high and low do not. This is a classic rookie mistake that needs to be corrected before it’s hardwired into your brain. Remember, the high and low of the second candle must fit within the previous candle’s range. 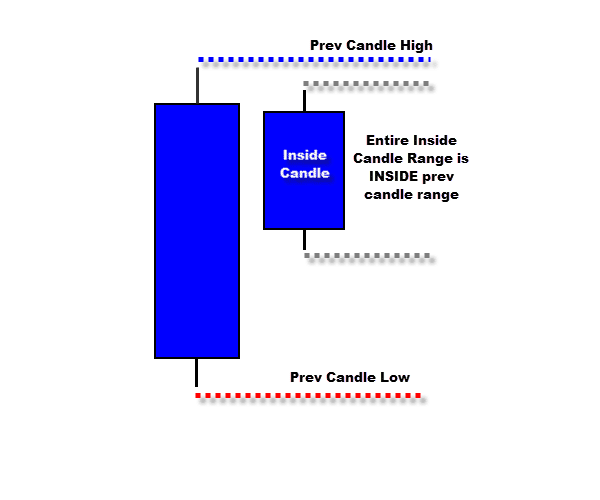 If the high or low stick out from one of the ends of the first candle, it is NOT considered an Inside Bar. This is very important, please re-read this paragraph until you understand, or you may make some critical mistakes in the future. The Inside Bar formation is not actually a direct signal; it’s what we call a ‘consolidation flag’. This is because during the entire period the candle was open, the market did not make any real ground in terms of movement. Instead, it just churned away within the range of the previous candle. There are a few reasons an Inside Bar may occur, and it’s important to be able to tell the difference between the certain types of conditions they form in. 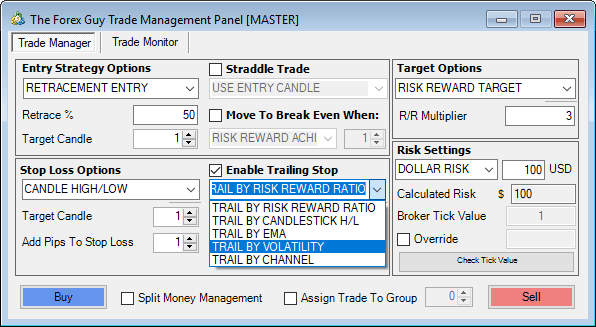 Some are high-risk, low-reward potential trade opportunities, whereas others are low-risk, high-reward opportunities. There are a few reasons that this occurs. The first being the markets are quiet and liquidity is thin and volatility is low. Examples include major holidays, such as Christmas, and the New Year period, when the markets mostly come to a standstill. It only makes sense that with such low participation in the markets during this period, that the market won’t move very much, so we can expect Inside Bar’s to form as a result. 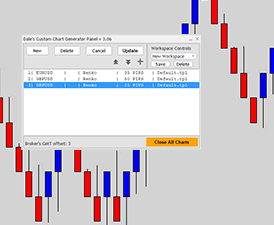 In the gold chart above, we can see many Inside Bars did form during the quiet trading periods of the end of year holiday season. Only one of these Inside Candle setups produced a breakout, and it was mild at best. These are just not ideal trading conditions, and these Inside Bars are just a result of the flat markets. During large periods of consolidation, the market doesn’t trend, and usually just drifts sideways in ranges or in heavily whipsawing action. This type of broader consolidation is often referred to as accumulation, where the larger participants in the markets are exchanging large amounts of money, so large that they need to gradually exchange the money over a period of time, which causes the choppy conditions. 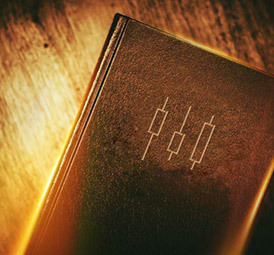 Due to the heavy exchanging in cash, the market doesn’t move in any clear direction, and on particular days of heavy transactions, the market churns so tightly that inside candles are formed. In the example above, only 1/5 of the Inside Candles that formed in the consolidation actually produced a breakout. These odds aren’t the type of odds that you want to be risking your money on. When the market is trending, this is when we should be all hands on deck. 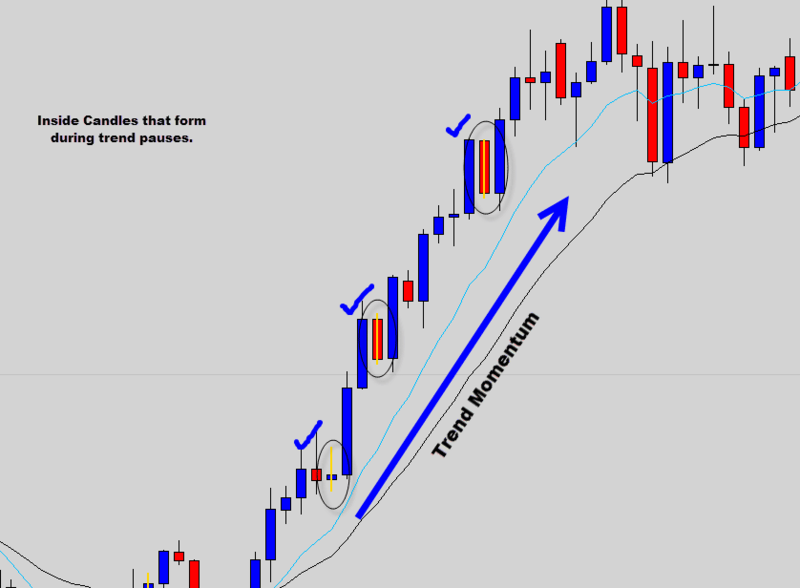 Traders need to be looking for trading opportunities that present themselves in line with the trend momentum. Trending markets are where the money is. Sometimes during trending markets, the momentum will pause from time to time, often around key levels. These Inside Day consolidation flags around the key areas of a trending environment can be the catalysts for powerful breakouts. What we are basically trying to do here is capture breakouts in the direction of the core trend pressure, so we can jump on board the broader trend movement with a good entry price. 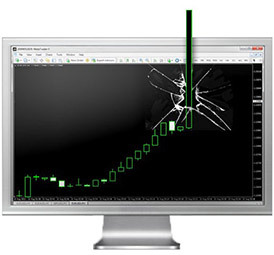 The example above shows a market with clear trending momentum behind it. 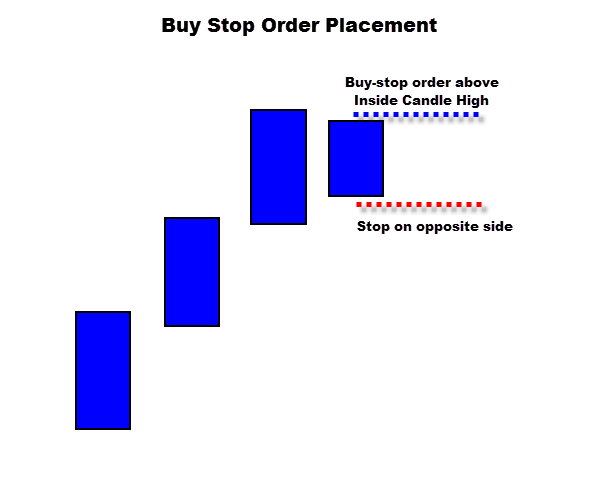 These are the conditions where Inside Candle breakout trading works at its best. Notice how each one of these Inside Candles produces a nice trend continuation breakout. Traders will find many Inside Candle formations on their chart, but we need to be aware that it’s a silly idea to target each one as a potential high-reward trade. Quiet times and heavy consolidation periods provide unreliable trading conditions and any Inside Candles that form in these environments are just as unreliable. The general way to enter an Inside Day breakout is to wait for price to breach the high of the Inside Day if you’re considering going long, or to wait for the Inside Day’s low to be broken before considering short positions. By waiting for the breach of the high or low, you are entering in with the market momentum. 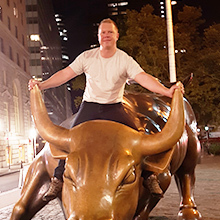 This increase your chances of the trade working, out as you jump in with the bullish or bearish pressure and ride it out. 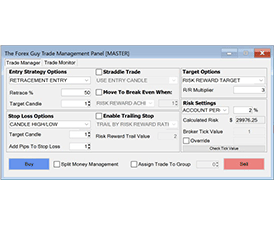 No one likes to sit in front of that trading screen all day, and we are all about making trading as easy as possible. So, the smart way to enter a Forex trade is to use ‘stop orders’ to automatically enter you in the trade when price breaks out. This way, you will be entered in with the breakout momentum, even if you’re not at the computer to pull the trigger. This is called’ set and forget’ trading, and it really does make trading a lot easier for you. So make sure you take advantage of those stop orders you have at your disposal. Because Inside Bars appear so frequently on the charts, we need to use a few simple techniques to filter out the high-risk situations, and focus on the low-risk, high-reward breakout potentials. If you have had the chance to look around the site a bit, you will notice we focus heavily on the Daily chart. 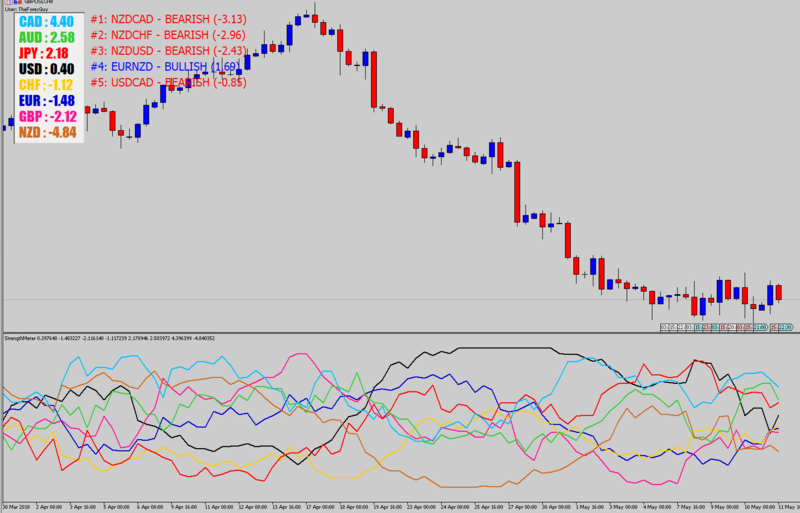 The reason is Daily candles provide much more weight in each candle because they contain more price action data. An Inside Day demonstrates much more consolidation than an Inside Bar that forms on the 5 minute chart. If you tried to trade Inside Candles off the 5 minute chart, you would be walking away from the ordeal with an empty trading account, and a piece of your soul missing. 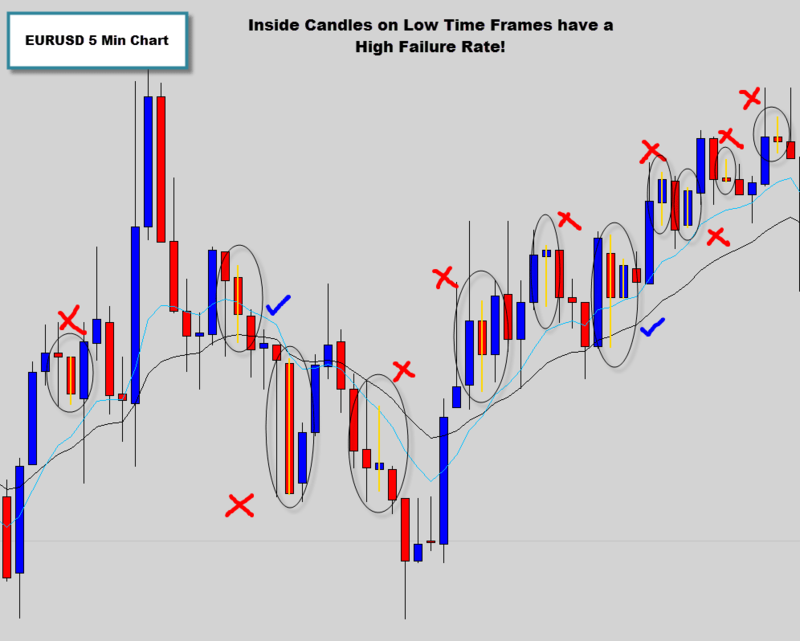 However, by focusing on Inside Bars that form on the Daily time frame, we increase our chances significantly, because the Inside Day represents much more than that 5 minute Inside Bar, which is a mere hiccup in comparison. 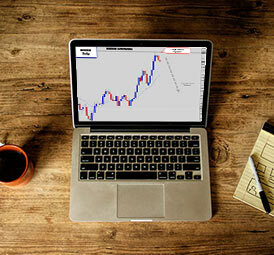 Inside Day breakouts on the Daily chart produce low-risk, high-reward potential breakout trades. This is what we’re after, good risk/reward scenarios. We only focus on Inside Bars that form within a trending environment, and only trade breakouts in the direction of that trend. This way we keep the odds in our favor of entering a breakout that see the core trend pressure continuation and drive our trade into profit. By trading against the market momentum, you can quickly put yourself on the wrong side of the market, and are at high risk of being caught up in breakout traps. In the chart shown above, the market is in an obvious downwards trend. The only thing you should be thinking when you look at this chart is ‘sell’. Buying Inside Day breakouts against this momentum is such high risk for such small reward, and usually ends up in failure. The trend is your friend, remember. Don’t make it your enemy. 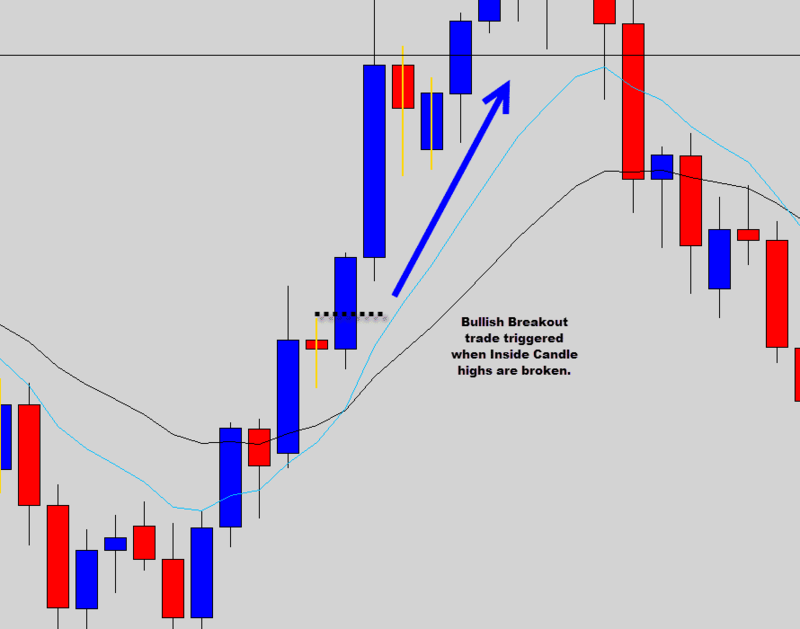 You’ve peered into the window of using Inside Bar patterns for breakout trading, but we are really only scratching the surface here. This is one of the reasons we’ve created the Price Action Protocol trading course. 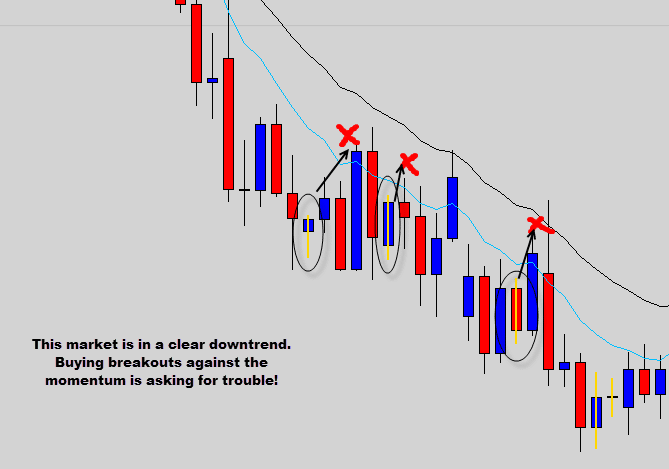 Inside the course we demonstrate how tie in Inside Bar breakouts with advanced price action market analysis and trend trading. 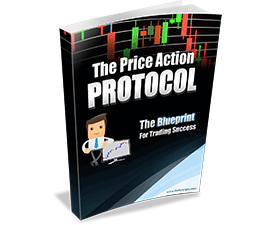 If you are passionate about price action trading, and would like to learn these advanced Inside Day trading techniques and other trading techniques, strategies and secrets we’ve discovered over the years, the Price Action Protocol trading course is something that would be very beneficial to you. 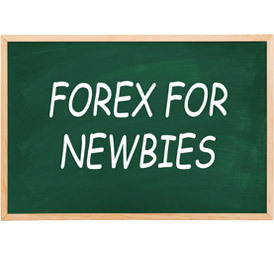 Hey Dale, I'm new to forex trading and I'm looking for a nice and simple strategy to start with. This Inside-Bar-Strategy looks very good. 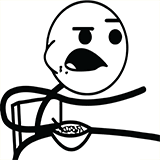 Finally one question occured while I was reading your tutorial: How long do you hold your Limit-Order in the market? DO you delete them, if they are not filled in at the end of the day?Thanks for your help! If they are not triggered and the market broke the other way, most likely yes I would just remove if the trade doesn't make sense anymore. Hello! First of all thank you for all your lessons, much help. A question connected with inside bars, do the colour of a candle forming an inside bar matter? On the charts I was looking at I noticed some inside bars and I had a feeling the colour represented the down or up trend. Of course as a rookie I could be mistaken and probably I am. Yes, when you're trading inside day breakouts - it is favourable to have the inside day body close in favor of the direction your trading. 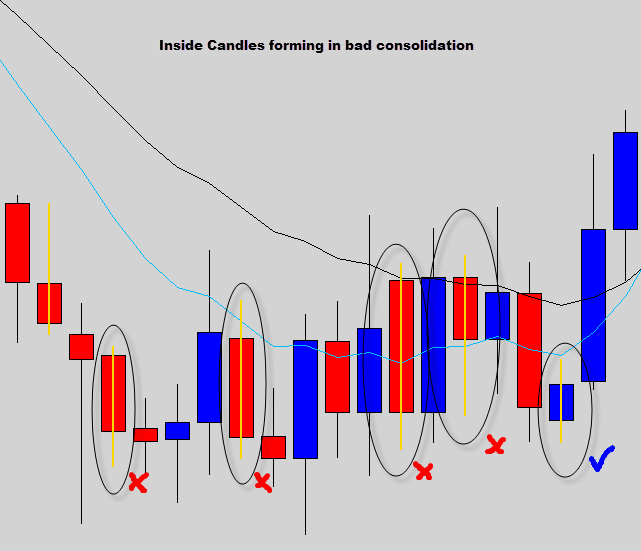 Example; bullish body inside candle when looking to trade bullish breakouts. Dale, first of all, You are a Legend! No need to explain why.Just a few questions arose. 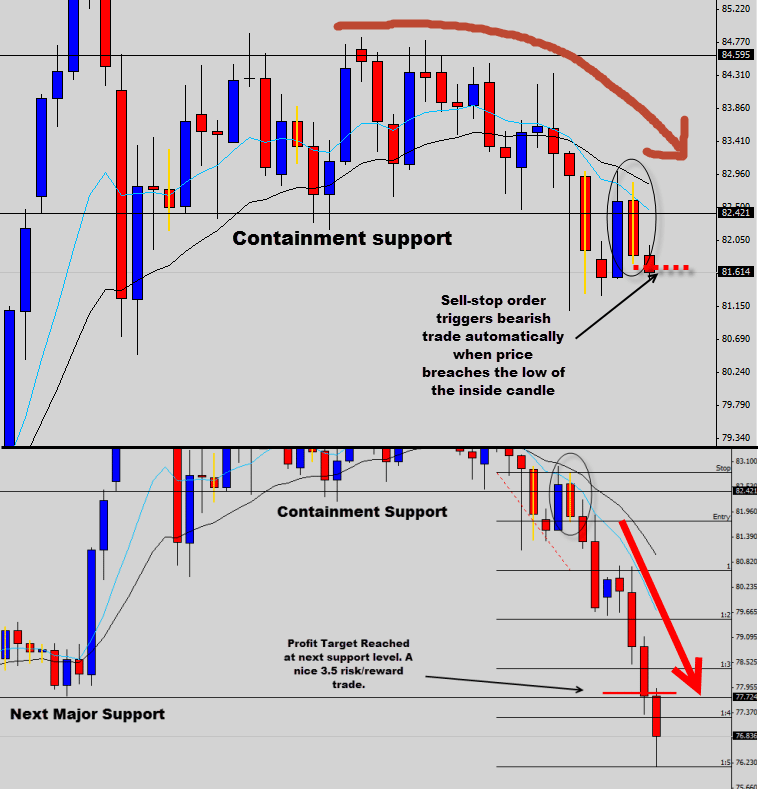 On the 3rd chart from the bottom where containment level was broken, why did we not entered the trade on the first appearance of Inside Day candle? Because of 2 EMA's just crossed and market is not clearly trending?Another question regarding last picture. You say consider only short entries, but if we do sell after first and second occasion of Inside Day candle we will be stopped out by the following candles during correction as their highs will rally above inside candle's highs. Should've we not taken them 2 as a valid signal due to second candle in Inside Day formation was bullish and not bearish? Or am I missing something?Thanks a lot Dale, and see you very soon in The War Room. Thank you very much Sir, your information to me is highly appreciated. Now i have other weapon in my arsenal and thanks to you. I really enjoy reading your price action information. 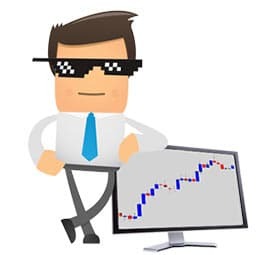 Charts with out lots of indicators are much better to read and i hope you keep sending these very help full price action set ups. Dear mr.Dale, i have been reading your articles for a while now and i find them very usefull. I have started with an small account of usd 100 ans usd 60 and been wiped out. I am still busy in demo and using the technics provided. Many thanks for these valuable articles. I will keep on reading and as soon as possible will enter on a course. I am a new trader and your tutorial was very entiresting and helpfull . This tutorial will absolutely helps me lot . God Bless and Thank you so much .